“For Whom The Bell Tolls” is featured on the “Master Of Puppets” reissue as part of a disc of live material from the 1986 tour and presented alongside the remastered album and a disc that is a combination of rough mixes, demos and an interview. 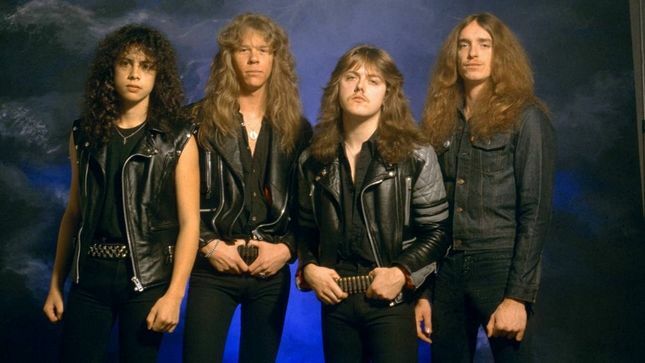 Metallica have previously shared audio of the remastered version of “Disposable Heroes” and a live version of “The Thing That Should Not Be” as recorded at the Aragon Ballroom in Chicago, IL on May 25, 1986. The group are currently playing dates on a fall tour of European arenas that will wrap up with two dates in Antwerp, Belgium in early November.